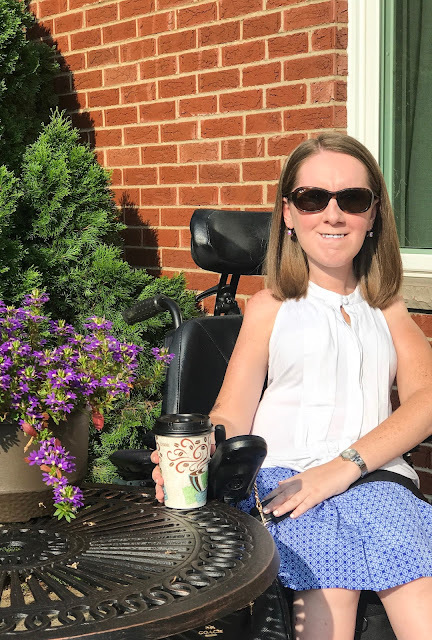 In addition to being SMA Awareness Month (you can read my posts here, here, and here), August is also apparently National Coffee Month. I am a huge coffee fan/addict, which you'll quickly notice if you take a look at my Instagram! And while I love going to Starbucks (and believe me, I do love it - the baristas at "my" Starbucks know me by name), it gets expensive so quickly. 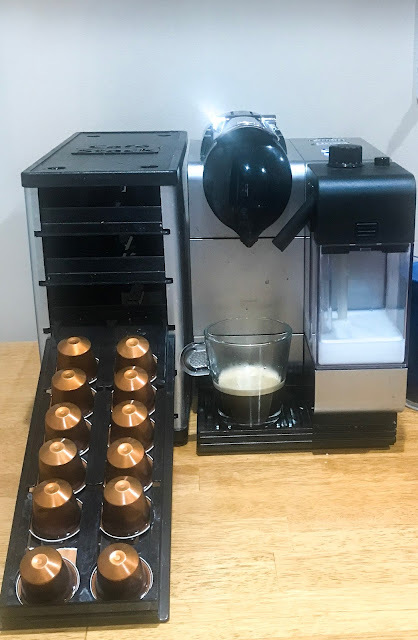 So in an effort to cut back on the amount I spend on coffee, I got a Nespresso a few years ago. I LOVE my Nespresso. I use it almost every morning before work, so that I can take my double-shot cappuccino with me to go. It's so quick and convenient - it takes less than five minutes to make my coffee in the morning. The pods only cost $0.60 - $0.70 each, so it's definitely cheaper than buying my morning drink at Starbucks. I get to try out different "flavors" of pods, to check out different flavors of coffee, and figure out what I like and don't like. The milk container that attaches to the machine is washable, and can be stored in the fridge between uses. And it's just so much easier and more automated than a traditional espresso machine. When I'm running out the door to work in the morning, there's no way I have time to tamp espresso grounds and steam milk by hand. Plus, I don't have to strength to do any of that on my own, so I'd be relying on someone else to do it for me. The more automated the machine is, the easier it is for me to explain to whoever is helping me. Best of all, it tastes great! I used a Keurig a lot during college, which was convenient, but just never tasted as good, or as strong, as a regular cup of coffee. 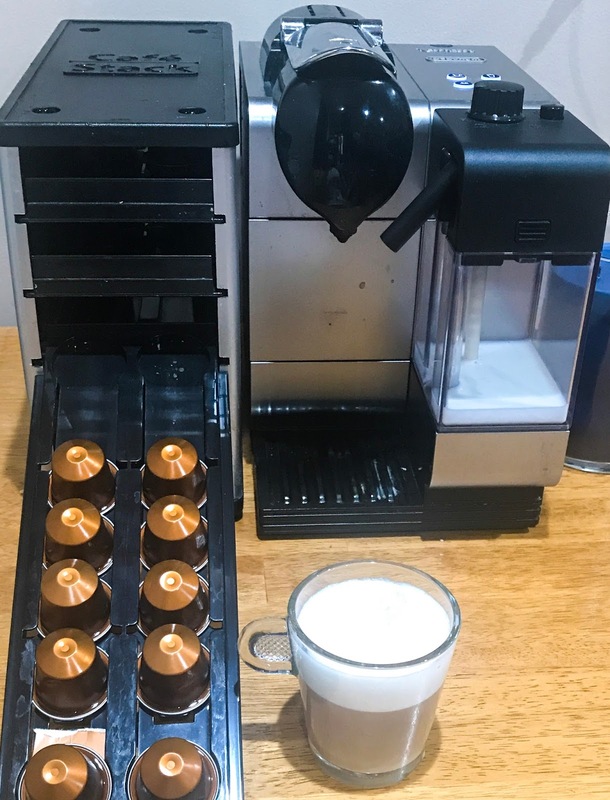 I actually really like the way my Nespresso cappuccino tastes. It's the perfect start to my work day or my weekend. Looks like the milk container can be removed and kept in the fridge. That seems more convenient than only putting so much in every time. You're right, it can be! It does have to be rinsed out every 2-3 days, though, or the milk starts to curdle (I think from the changes in temperature from steaming it). So, I try not to pour in too much depending on how many drinks/what sizes I'll be making!